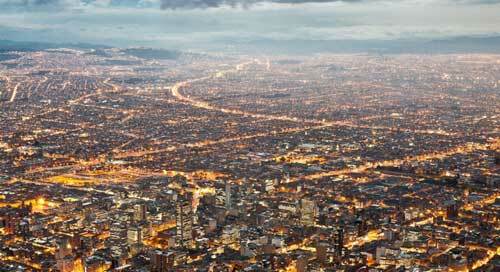 There are currently 28 megacities in the world including Sao Paolo. THE World Wildlife Fund (WWF) publishes, at two yearly intervals, its ‘Living Planet Report’. Now in its 10th edition, the 2014 report entitled ‘Species and spaces, people and places’ is available online. It makes for alarming reading. This 176-page report is a must for all naturalists for it is a profound study of human impact upon our planet. A major contributory factor to marine loss of life was through bycatching (accidentally catching, in certain fish net sizes, species which were of no market value and then casting these dead fish overboard), illegal fishing and overfishing of the same fishing grounds. Currently we need a 50 per cent bigger Earth to allow the regeneration of the natural resources we consume. We cut down trees faster than native species can regenerate or even replacement species can mature. We harvest more fish than our seas can naturally restock and pump more carbon into our atmosphere than our forests and oceans can absorb. Splitting the world into five biogeographical realms of amphibians, birds, fish, mammals and reptiles, the authors of the report noticed the fast changing biodiversity levels in different areas of our planet. As human beings we forever depend upon the natural world. Marine ecosystems support more than 660 million jobs globally and provide a main source of protein for many countries. Forests provide food, fuel, livelihoods, shelter and water to two billion people. By 2050, we will have an extra 2.4 billion people in our world, with urban populations increasing from 3.6 billion in 2011 to 6.3 billion. In 1970, there were only two megacities (over 10 million people) – New York and Tokyo; in 2014 there are 28 such cities – 16 in Asia, three each in Europe and Africa, four in Latin America and two in North America, all totalling 12 per cent of the world’s urban population. The United Nations (UN) predicts that in 2025, there will be 37 megacities with eight new ones in Asia. Also in the pipeline are meta-cities – conurbations of over 20 million people – through the amalgamation of megacities. 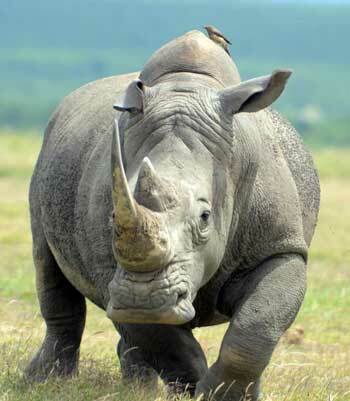 There are only an estimated 20,000 white rhinos left in the world. This inevitable urban expansion will mean the further loss of ecosystems and destruction of natural wildlife habitats. Today more than a third of the world’s population – approximately 2.7 billion – live in river basins that experience severe water shortages for at least one month a year. World population problems are frequently seen as isolated human disasters on our TVs, but the overall picture is frightening, for a billion people are starving or malnourished; 768 million live without a clean supply of water and 1.4 billion are without electricity. Thanks to a world recession, the human carbon footprint on our planet decreased by 3 per cent for only one year (2008 to 2009), mostly due to a decline in the demand for fossil fuels, yet subsequently it is on the upward trend again as economies revive, incomes are rebalanced and domestic and industrial energy consumption increases. The concentration of atmospheric CO2 is already causing significant climatic and ecosystem changes. Converting atmospheric nitrogen into fertilisers, whilst boosting crop yields to feed an ever-growing population, sadly adds further pollution to our rivers and their outlets into the sea. We cannot shirk from our responsibilities and our threats to wildlife. For instance, in Africa there are only 5,000 black rhinos (near extinction level) and only 20,000 white rhinos (threatened species). From 1980 to 2000, both species declined rapidly due to poaching for the illegal global traffic trade in horns. The report interestingly mentions that the diversity of human languages in our world is strongly correlated to areas of high plant diversity. Some linguists have predicted that 90 per cent of the world’s languages will expire by the end of this century. This is a wakeup call to all educationalists worldwide, for local languages and dialects can still be preserved through local teaching and not necessarily in the written word. However this ‘Living Planet Report’ is not one of doom and gloom for it opens our minds to inherited and current predicaments in our ecosystem, of which we are all a part, and offers pointers and solutions as to how each one of us, in our own way, can help to preserve and nourish our planet for future generations of mankind. For more go to www.worldwildlife.org.